Boating: Power Boats can be rented at Woodard Marina on Lake Bomoseen and docked in front of lake house for easy acess. The property was great— clean, spacious, everything you need to cook. Would be even better if linens and towels were included! The lake in this area is very weedy and tough to fish through. Disappointed that there is no beach. Loved the fire pit and dock! nice property on the water! 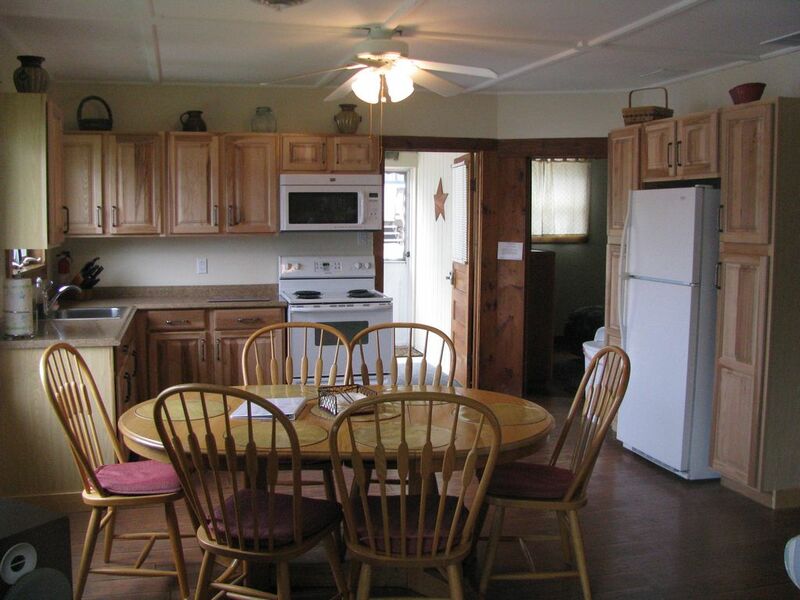 This property was very clean with newer kitchen that you often don't come across at lake houses. Views from every location made for a relaxing stay on the lake. Looking forward to coming back next summer. Thank you Bob! Fun time on the lake! Great spot on the lake with plenty of outside living and up to date kitchen and bath. Private dock is awesome with room for chairs, fishing and docking of our boat. Great mountain & lake views from property! We will be back! We had such a great week last year we came back this summer. Did not disappoint!! Great property/views, nice areas outside in sun or shade for napping or reading, able to swim/float off the dock area (the weeds in he lake were cleared a bit). Perfect accommodation for our family of 4. Definitely appreciated all the fans provided, it was humid last week. Able to read on the screened in porch while it rained on and off a couple of days. Did a fun road trip to Middlebury (30 min) one day. Consider staying here - quiet and relaxing end of the lake, fire pit, 4 levels of seating area outside (deck, fire pit area, grassy bank on the lake and the dock). 3 comfy bedrooms. Great living area w tv, love the kitchen. Above all... the 2 ceiling fans are terrific! Bob the owner is accessible and nice. Go ahead. Book a week of lake relaxation! Great place. We look forward to another vacation with family at this same camp again. Updated lake front cottage with nearby free boat ramp. Dock right out front of house. Boat to the Lakehouse Bar & Restaurant. Waterskiing, tubing, fishing, & kayaking all just a few steps to the lake or just relax on the deck and enjoy the sunsets off the rock view. Stunning foliage from September through October. Other Activities: Power boating, fishing, waterskiing, tubing, windsurfing. June through early September check in and check out day is Saturday only.